This book will be of interest to practitioners in clinical and educational psychology, social work, nursing, psychiatry, probation, health visiting, counselling and psychotherapy, who work with individuals living in intimate relationships where violence may be of concern, and also to practice supervisors, trainers, trainees and students in these disciplines. Jan Cooper and Arlene Vetere are both based at Reading Safer families, in the UK. Foreword by Dr Arnon Bentovim. 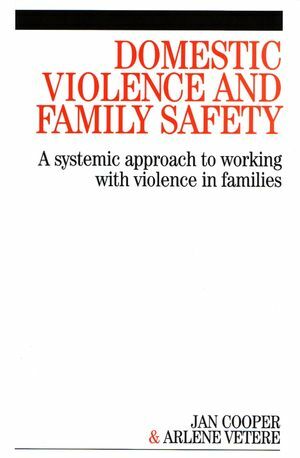 Chapter 1 Family violence and the systemic approach to interventions. Chapter 2 Family safety and the therapeutic process. Chapter 3 The culture of language and violence. Chapter 4 Reflection and collaboration in the therapeutic process. Chapter 5 Children as victims, witnesses and survivors. Chapter 6 Adults as victims and witnesses. Chapter 7 Therapeutic Interventions and the legal process. Chapter 8 Professional issues, supervision and working in the territory. Appendix Contraindications for therapeutic work.